You think you have stress, what about your patients? Home > Dental Billing > You think you have stress, what about your patients? 06 Nov You think you have stress, what about your patients? Many people avoid the dentist because they consider it a “white knuckle” experience. Their grip on the chair is so tight you can see their knuckle bones turn white. From outward observation, these patients look fine, but they are not. They are scared and stressed. 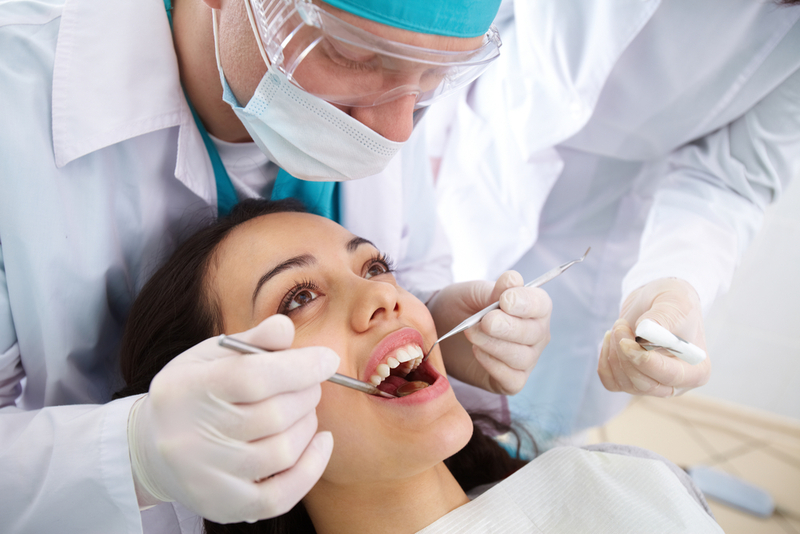 They look to the dental team to alleviate that stress and make them comfortable and cared for. According to the American Institute of Stress, costs of stress in U.S. industry totals more than $300 billion a year in absenteeism, turnover and diminished productivity, with the median number of missed workdays from a stressed employee at 25 days a year compared to the non-stressed worker’s six days. Every employee in the dental practice contributes to the patient experience. It is important that this experience be consistently positive. When a trusted employee is not at work that day it does affect the stress levels of the remaining team and the patients. In the recently released Stress in America Survey (2013) sponsored by the American Psychological Association, more than half of the general population states they are living with a moderate amount of stress and an additional 20 percent declare an extreme level of stress. Dentists should care about the overall stress of the population because those people are their patients. When people are stressed they are less likely to be proactive with their health, their nutrition and their need to have regular preventive dental care. This results in lower continuing care appointments booked, postponement of treatment, increase in emergency care and referrals to specialists for disease progression. We are all stressed but it is our duty to focus on the patient when they need us for care and be sensitive to what is causing their stress. Have a one on one talk prior to any treatment and take the time to listen to the patient about what is causing them stress in their lives is so important. We must all band together to diminish stress from our lives and to remember that everyone has some stress that they can use help with understanding and controlling.